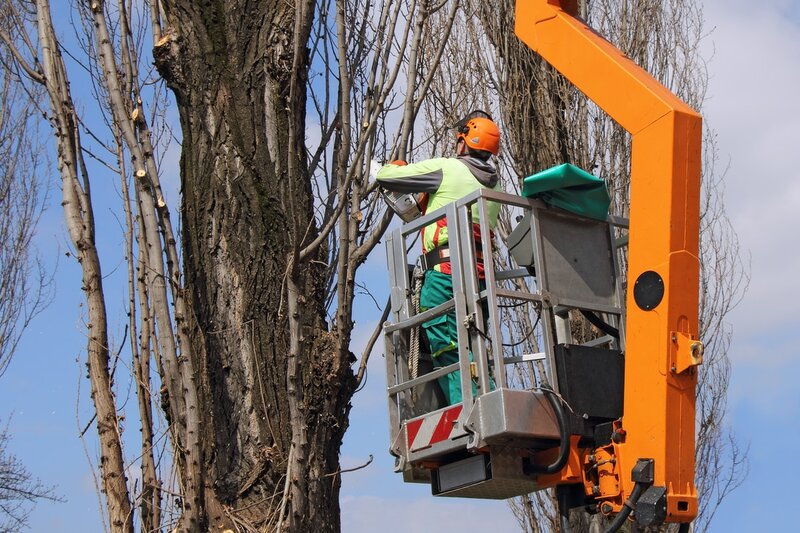 When it comes time to find professional tree service providers, we understand how important it is to find the right service at the best pricing possible. However, too many companies charge high prices for basic services, offering low quality work. In fact, usually, homeowners wind up hiring multiple service providers, hoping to finally get the services that they have been looking for. 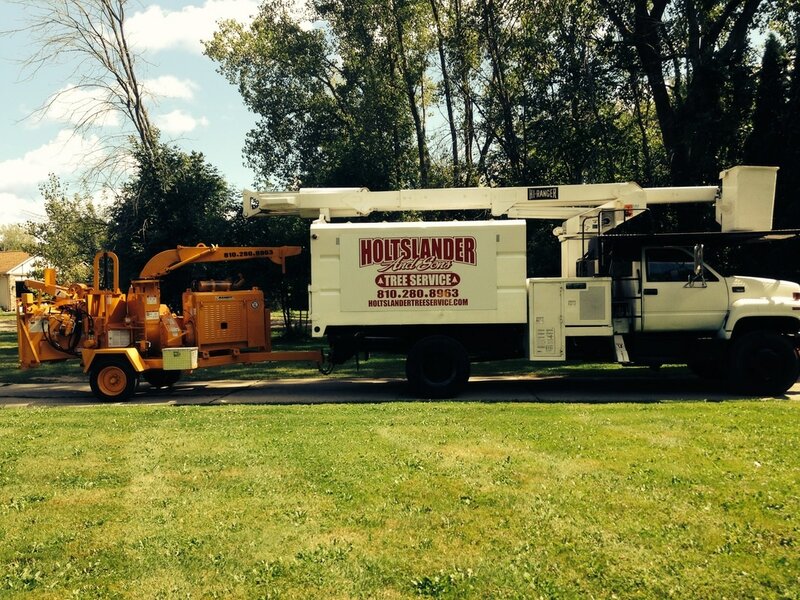 In Linden / Fenton, MI the better option is always with Holtslander & Sons Tree Service. We have been providing better and more affordable tree care service than anyone else around. You will always get a better quality of service at rates you can afford, all without having to hire multiple companies for the same services. By doing more for less and achieving better results, we are always the best option for your home. The difference with us is rather than utilizing lower quality service technicians; we use only highly experienced and trained contractors. This way you get the best service possible each time we help you and your home. • And many other services. No matter what your home requires to give it the stellar curb appeal, we can take care of it all. Usually, when an area resident needs to cut down a tree, they simply find the cheapest contractor possible to take it down for them. Unfortunately, too many tree removers are not even licensed or insured, and some may have never even removed a tree before. They simply have a chainsaw and a ladder and offer you pennies on the dollar. Our top priority, however, isn’t charging the most that we can when we cut down and remove your tree. We offer affordable tree removal services that don’t take shortcuts. 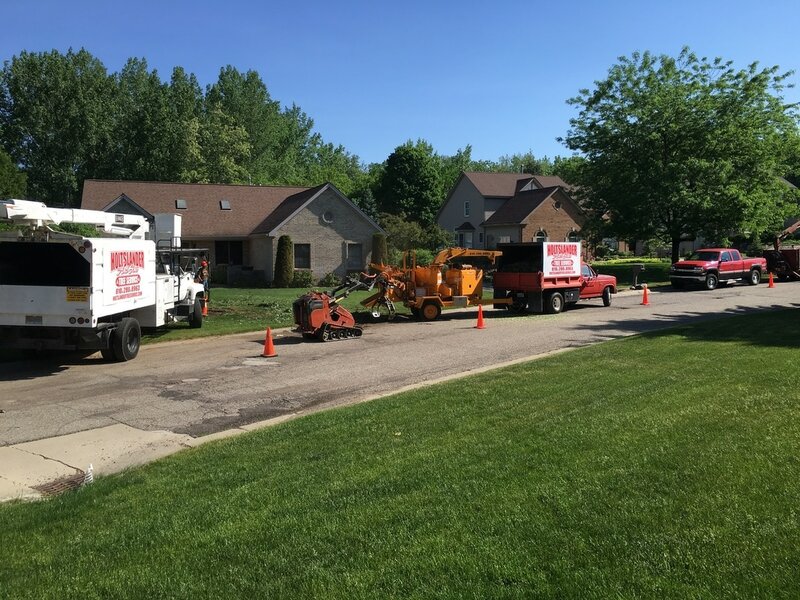 We want to remove your trees safely and efficiently. When you select us, we want you to feel comfortable and know that you and your family can rest easy. By using the appropriate tools and equipment, you will have a better tree removal and the peace of mind that you deserve. Preventative maintenance by a tree care expert is one of the most important parts of keeping your landscape in tip top shape. When left un-inspected, your trees can become sick, diseased or infested. Allowing us to inspect your trees on a regular basis will help to catch any issues quickly so as not to allow things to spread. A lot of times it is too late by the time that you notice that something is wrong. We can schedule inspections as far out as one year and we also have plans available to keep your trees happy and healthy all year long. Always speak at length with any tree service to ensure that they have the proper certification. There are a lot of quick talkers in the industry so be sure to do your homework. Another service that goes mostly ignored is stump grinding. When you remove a tree from your yard, it will leave behind the dead stump where the tree was cut down. Most people do not realize that they will be stuck with a stump, and when they are, they do not know what to do. However, when you call us, we will use a top quality stump grinder to grind it down to the ground, leaving nothing behind. We can even go up to 8 inches if you would like to plant something in its place. We offer this as a stand alone service and it is also included in the price of our standard tree removal. Call us today and we can walk you through our pricing for stump removal. When your trees and shrubs just need a little “specialized attention,” pruning is usually the best method of care. By targeting small areas of overgrowth and dead leaves and limbs, we can promote better growing and overall health. Pruning is not a complicated process, but if done incorrectly can have devastating effects. 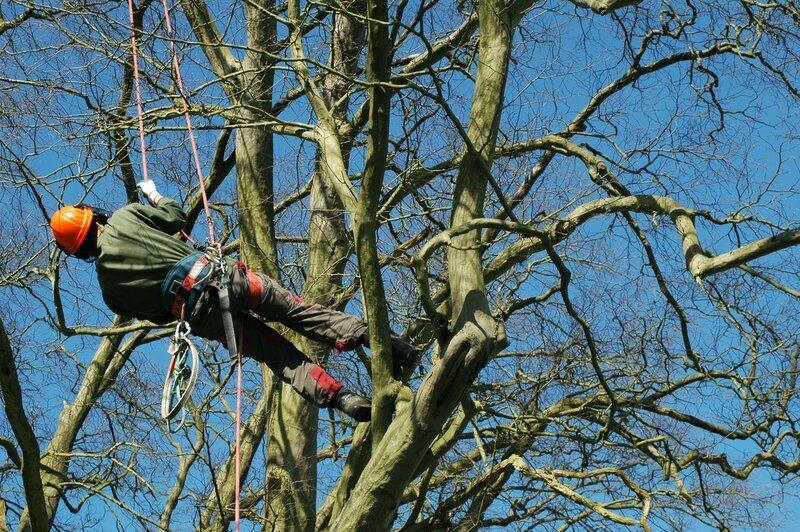 Because our team is made up of tree professionals, pruning is a piece of cake for us. We know exactly how to prune each and every tree you may have growing on your property, giving all of your plants a better quality of life and better growing. For the best choice in local pruning, just call us! Sometimes as a tree becomes large it runs the risk of structural damage. The weight of one portion of the tree can become to heavy and can cause cracking or splitting. Cabling can be a quick and easy solution in certain instances. We will always give you an honest opinion on what would be the best and most affordable course of action for the tree in question. Our arborists understand the correct cabling methods for your trees, providing them a better opportunity to grow and stay in tact. In fact, we may determine that cabling is not right for your tree at all! However, when you call other companies, they only care about showing up and charging you for their work. For a better quality of care, leave your tree cabling needs to us. Like pruning, tree trimming involves removing certain aspects of your trees to allow them to continue growing better for longer. Unlike pruning, trimming is when our team removes entire branches off of the tree. Sometimes the tree can have branches that wither or die, leaving the rest of the tree to remain alive. However, the tree will continue to try and provide resources, even if the branch cannot utilize them. 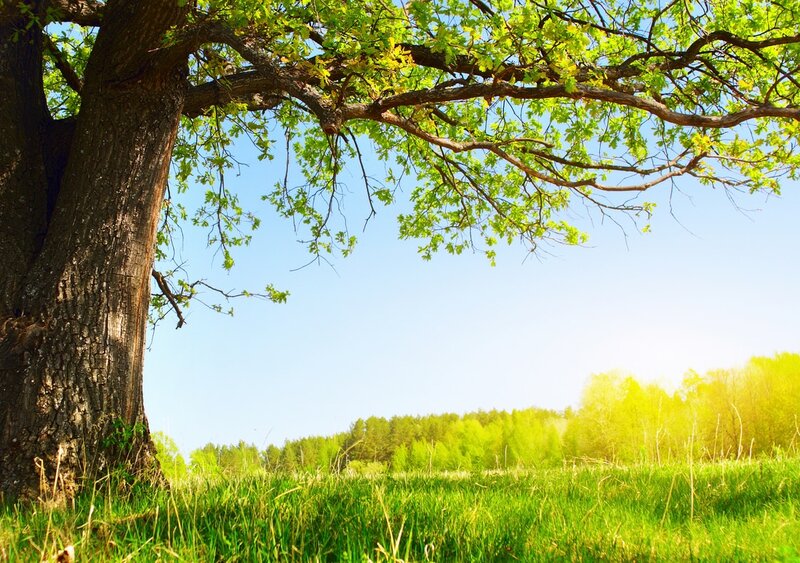 When you have our expert tree care professionals provide you with our top quality trimming services, you will have healthier trees in the long run. By removing dead branches, or those that are no longer growing the way that they should, it allows the tree to use its scarce nutrients better. For the best trimming services at more affordable pricing, just call us before anyone else. At Holtslander Tree Service we refuse to compete with the many cheap tree services out there. Most every "cheap" service out there is either insufficiently trained or insufficiently insured. What we will do for you though is offer affordable service and value for your money. We know that you will get what you pay for in terms of quality of safety and service. Low priced tree services almost never end well. We have cleaned up the mess from other so called tree services and have yet to find a homeowner that was happy with their decision to skimp on there tree care provider. Usually a cheap service is cheap for a reason. Check out our reviews online and call us today so we can talk "trees."